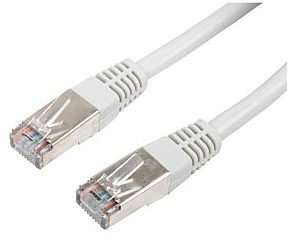 20m network patch cable / ethernet cable, cat5e. CAT5e specification patch cable with moulded connectors. The NL-HP555PTDL is compliant with HomePlug AV specification 1.1 and have a high speed transfer rate of up to 500 Mbps. The power line Ethernet adapters 56-Bit encryption with key management. A minimum of two Adapters are needed and more can be added as the network grows, the NL-HP555PTDL would make a perfect addition to any Home Plug network. Pass through function allows you to free up a power socket that would otherwise be taken by the homeplug. Please note that while homeplugs will work with most operating systems, the software bundled will only work on Windows based machines.